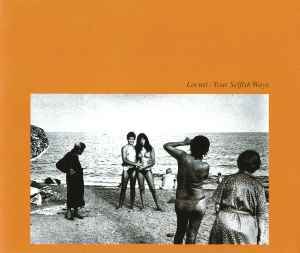 Locust’s _Your Selfish Ways_ gets mixed. Shanq slows the track and draw out the tempo and time-stretch the vocals, making it somewhat woozy. 808 State go all funky and electro, slowing the vocals just a tad to drift over the sharp breaks and sudden guitar stabs. Ceasefire, on the other hand, adds a low throb and a staccato beat, making the vocals as crisp and clean. Finally, Boom Boom Satellites put in a thick beat and some blippery. Still love the original best, though. Aside from the original, which is a truly great song, the standout remix for me is by Ceasefire (aka Derek Dahlarge). He pulls the vocals to the fore & strips most of the song away, before adding bass-heavy beats & screaming electronic samples, which emphasises the isolation & claustrophobia in the song. The line "Now the mess is mine, I can do whatever I like" sounds even more falteringly optimistic in this version. Excellent stuff.